How do you get more customers? Build a strong online presence! If clients and prospects see you online, they are more likely to contact you about your business. 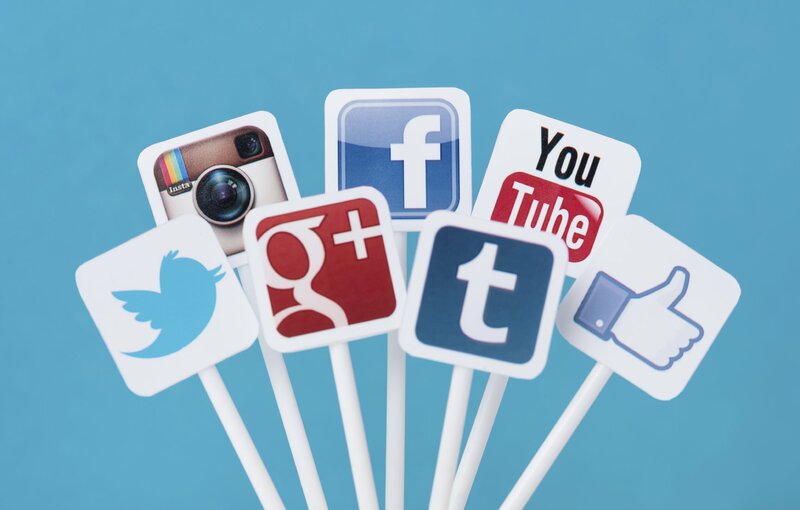 An easy and cost-effective way to build a strong online presence is through social media. The only problem with building an online presence through social media is that most people tend to slack off when they are busy. It’s easy to participate in social media activities when your schedule is slow. It’s not so easy to participate when you are rushing to meet deadlines. Unfortunately, when it comes to your online presence the old saying “ out of sight, out of mind ” often holds true. If your potential clients don’t see your name mentioned for a while, they are likely to forget about you and hire someone else. In this post, I share an easy plan for maintaining your social media presencewhen you are busy. Best of all, it only takes 40 minutes a day. Before you can use the 40 minute plan, there are a few prerequisites. Completed social media profiles for your business. Existing social media connections with clients and prospective clients. Buffer. This free app lets you schedule shares for Facebook, Twitter, and LinkedIn. A paid version with more features is also available. HooteSuite. Schedule shares for popular social platforms including Twitter, Facebook, LinkedIn, and Google+. Free and paid versions are available. LaterBro . This free app allows you to schedule status updates on Facebook or tweets. TweetDeck . TweetDeck is now owned by Twitter and that is the only social platform this free scheduling app supports. Feedly . This tool is available for mobile devices and can be used in combination with Buffer for social sharing. Feedspot . I’ve recently seen this popular feeder in the Google store for Android devices. You can share to social sites through this tool. You may already have a favorite feed reader already and that’s okay. Now that you’ve gotten the prerequisites in place, you can easily maintain a social media presence for your web design business in just 40 minutes a day. Staying active on social media takes a lot of time, right? Well, it doesn’t have to be that way. If you’re busy, you can maintain your social media presence in less than an hour a day. It’s all a matter of organization and planning. Find good content to share ( Time: 10 Minutes ).Open your RSS feeder and look for the best information to share. You’ll want to find a minimum of eight to ten posts or articles that are of interest to your target audience (clients and prospects). Schedule your shares ( Time: 10 Minutes ).Use your scheduling tool to share the posts you found on your social media accounts. Don’t schedule everything at once, but spread your social shares throughout the day. That way you’ll reach more of your contacts. Share your own content ( Time: 5 Minutes ).Use your scheduling tool to share your own content. Choose from recent posts on your web design blog, evergreen posts from your blog, images or graphics you’ve created, announcements you want to make, and more. Respond to connections ( Time: 15 Minutes ).A key part of social media is interaction. Once a day, log into your social accounts or your scheduling tool and respond directly to anyone who has interacted with your shares. Your responses don’t have to be long. And there you have it. In just 40 minutes (or less), you’ve kept your social media presence active. The steps listed above keep your social media presence active when you are busy. Use these steps daily for as long as you need to. Add new contacts.Make sure that you are connected with all your recent contacts. Add any clients, prospects, or colleagues you have met since you last updated your social accounts. Review your profile information.Add any new blogs you’ve contributed to. Update your projects that are listed on LinkedIn and add any new skills you’ve acquired. Participate in more time-intensive activities.Examples of a time-intensive activity include TweetChats or LinkedIn groups. Review your images.Do you need to update your profile images? Do you have additional images or designs you can share on your social sites? Update contact information.Whenever possible, your social media profiles should link back to your web design site. Fix any profiles that don’t. The above tasks are beyond what many freelancers do, but they will help you to stand out from your web design competition. A strong social media presence is an important part of being unforgettable. Keep your social media accounts up-to-date and actively participate to make it easier for potential clients to find you. Do you stay active in social media when you’re busy, or do you just “ drop out ” until you have more time? Share your thoughts in the comments.